So you are looking to make the move to Germany and you want to be able to work while you are there. While the process may seem daunting, it really isn’t that difficult but you do need to get your “ducks in a row”! And it goes without saying, that having a Work Visa in place, may make you more attractive to employers. Now just to clarify, when foreigners speak about an Artist Visa, they are actually referring to what is called a Self-Employment Visa (Aufenthaltserlaubnis für Freiberufler und Selbständige) and the application process can be done once you are already in Germany. This particular Visa extends to artists, freelancers, architects, and language teachers. Before I go into too much detail, if you are under 30 (or 35 for Canadians) you may want to consider a Working Holiday Visa (Youth Mobility Visa). The nice part about this Visa is that it does not limit you to the type of work you can do. 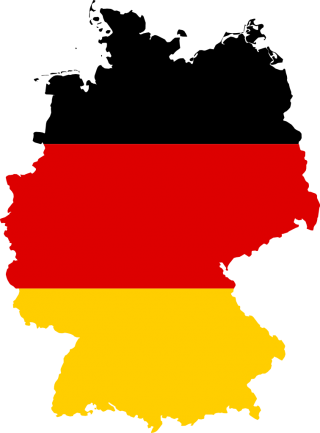 Citizens of Australia, Brazil, Chile, Hong Kong, Israel, Japan, South Korea, Mexico, New Zealand and Taiwan aged between 18 and 30 may apply for a 1-year German working holiday visa in the Federal Republic of Germany and Citizens of Canada between 18 and 35 years of age may apply as well. There is no limit on the duration of employment, during the stay of up to 12 months however evidence of sufficient funds for the first three months is required (i.e. 250 euro per month). For more information you can inquire at your the German Consulate in your home country. The bit about the “announcement” can a bit misleading because the real announcement is a copy of your lease or letter from the person that you are subletting from. You then need to make an appointment with the Bürgeramt (sometimes called Bezirkamt) in your area for the actual Anmeldung. In Berlin it can sometimes take up to 6 weeks to get an appointment (which you can apply for online) or you can take your chances and go get in line BEFORE the office opens to get a last minute appointment if someone has cancelled. You take a copy of your rental agreement/lease (or letter) along with your completed Anmeldung Form, and your Passport to your appointment. There should not be any cost for this… just a little patience is required. Something you may also want to consider when registering is whether Germany is your “Hauptwohnsitz” or “Zweitewohnsitz” (Primary vs. Secondary residence)… go have a read through this post to see why it may be of interest to you. You will be issued an official stamped “Anmeldung”. You should take a copy of this and carry it with you at all times along with your Passport. If you are ever “controlled” you will be asked for these documents to prove your legal existence in Germany. As soon as you have your appointment for your Anmeldung go ahead and make your appointment with the Ausländerbehörde (Foreigner’s Office) for your Self-Employment Visa Application (Aufenthaltserlaubnis für Freiberufler und Selbständige – Erteilung). The appointment can be made online. For example in Berlin you can start the process here (http://service.berlin.de/dienstleistung/305249/) Go to the bottom of the page and click on “Termin Buchen”. It can take up to 6 weeks to get an appointment so don’t drag your heels on this, especially if you entered the country on a 3 month Tourist Visa. Once you have the appointment you will want to start gathering the information and papers you need to support your application. I would recommend being organized and taking 2 copies of everything with you. Do not staple anything together (they actually state this in the application information). The less work they have to do the better the odds are you will be approved on your first visit. If approved, you will be given your passport back with a piece of paper telling you how much to pay. This fee can range anywhere from 50 Euro to 100 Euro depending on how many years you are granted. You need to take that paper to the cashier, or automated machine. Bring CASH or you will end up using one of the bank machines there that will likely gouge you in fees! The Checklist – You will need to bring the following documentation with you. Completed Application Form (Formular Antrag auf Erteilung eines Aufenthaltstitels) – You can download this in advance of your appointment and bring it filled out! Financial Plan (Finanzierungsplan) – This is essentially proof that you can support yourself. Bring recent bank statements showing you have enough funds available. The threshold is around 600 Euro per month or 13K per year. Copy of your University Diploma and any References you have. Letters from others who are interested in collaborating with you are also useful, along with any audition invitations you may already have. The more you have the better. Health Insurance (Krankenversicherung) – You will have to have at least 1 year of health insurance. I would recommend paying for a minimum of 2 years as you will be more likely to be issued a 2 year Visa saving you a trip back to the office for an extension. Most non-EU visitors opt for Travel Insurance (must be purchased before you depart your home country in most cases). It should be noted though that people have been turned away with Travel Insurance. The better option may be to get some kind of Ex-Pat insurance such as the package offered by Care Concepts (http://www.care-concept.de/expatriates_eng.php?navilang=eng). You can cancel this insurance after one year, should you decide to stay in the country. And if that is the case… you will need to get on the German Health Care System. For more information on this subject, refer to our post on the Germany Health Care System. Lastly… if you do not speak German, take someone with you who does! If you are not successful the first time you can try again. They may ask you for additional information and give you an appointment in a few weeks. Should you have any other questions about the process feel free to contact us!